The neighbourhoods surrounding the Copenhagen city centre were constructed in the second half of the 19th Century as a solution to the housing shortage among the working classes. 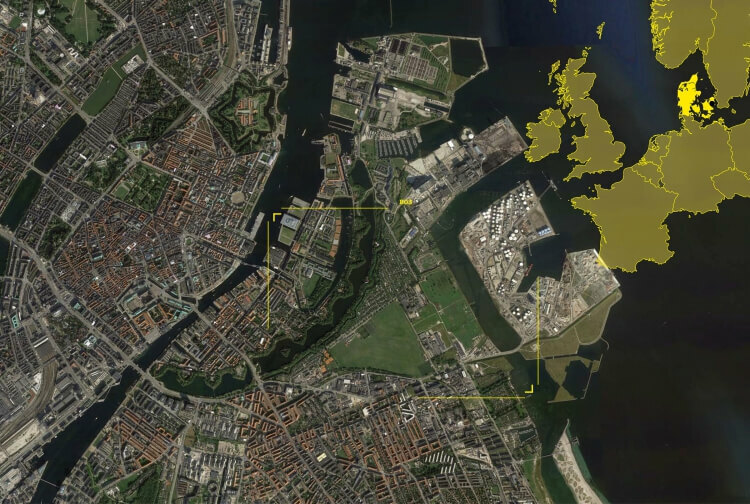 These areas, dominated by housing blocks and few green spots form the background for new housing strategies that respond to today’s demands for affordable housing. The project introduces a fractal-like network mixing green spaces and buildings with high density. The district is weaved together by urban spaces and buildings of different size and on different levels and crossed by a network of paths for walking and biking. The “Copenhagen Class” is defined as the main target group for the project development. Middle income couples and families that today are forced to leave the city because of high living costs. They like to live in an urban context with green amenities. Density is a quality which creates security, community feeling and supports a high number of social and recreational activities. The Kløvermark district makes the vision of “a city for everyone” possible. The housing typologies of the Kløvermark district focus on rational building through simple building systems which to a great extent can be mass produced. It is crucial to construct affordable and well functioning houses. A combination of rational and simple typologies with a high density creates a sustainable and attractive place of living for the Copenhagen Class. Sustainability occurs when an urban biotope such as the Kløvermark district is in perfect balance. Numerous factors affect this balance, some requiring more attention than others: Energy supply, climatic changes, traffic and the possibility of a life in harmony where housing, work, social interaction and shopping are all close at hand. Experimental zones, where new housing energy solutions and new construction materials can be tested, are suggested embedded in the grid.